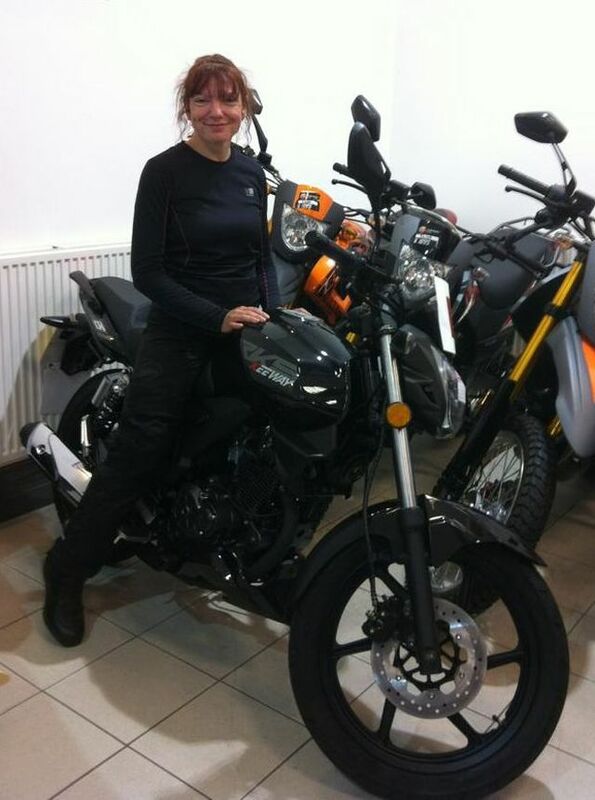 Sharon loves her Keeway RKS125. She learned to ride on it. 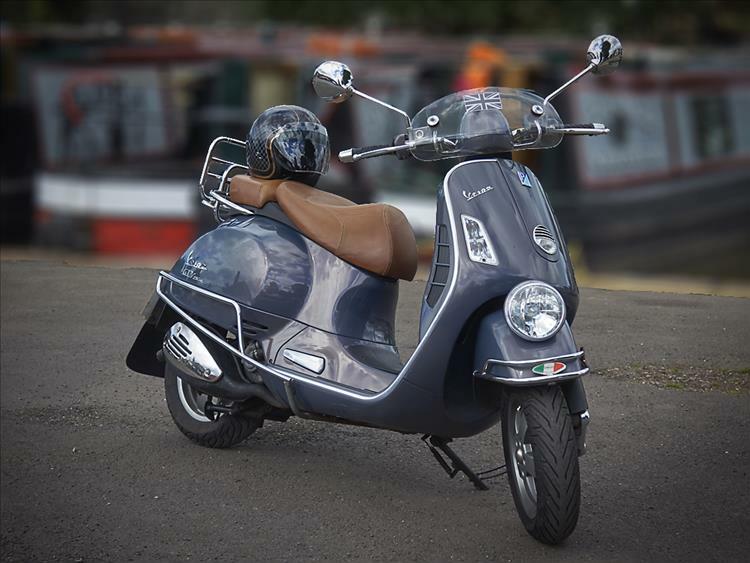 She rode around northern Scotland on it while still sporting "L" plates. Just after passing her test she rode around The Netherlands on it, her first time abroad on her own motorcycle. She really loves that bike. Aaaawww, remember when Zen was all shiny and new? So much so that its been sat under its cover untouched for months. Thing is she now loves the Z250SL. Oh the shame. Out of pity for the poor lonely abandoned 125 loitering under a now faded and a little mouldy concertina cover I dig it out to start it up and take it for a little spin around the block. The lights are working. The tyres need a little air but otherwise they're in good order. The chain's well lubricated and showing no signs of rust at all. Excellent. Kathunk kathunk cough cough kathunk. Nothing. The battery is good as the motor is cranking fine. This is a CDI ignition, self powering so unlike computer controlled ignitions (and fuel injection) the battery doesn't need to be 100% perfect. 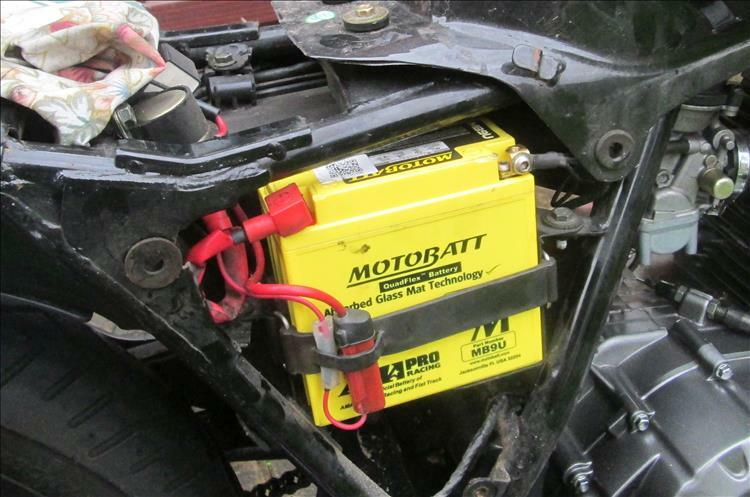 Note - if your bike is "digital" the battery needs to be spot on. The starter can drain the power from the computer so it cranks but won't start. Kathunk kathunk kathunk kathunk... and so on and so on. I remove the plug with the handy socket in the toolkit provided. No spark. Oh dear what has happened? Poor old "Zen" the Keeway is lacking a spark. I don't need the bike today and we have somewhere to go so I put the bike away and we jump onto my 500 for a ride. The rest of the day and the rest of the week I ponder what could be the issue. Neglect, obviously. The damn thing has been ridiculously reliable for what, something like 5 years now? This is probably the first time it's been left so long. It is winter now so that won't be helping. Corrosion. Yeah. The spade connectors to the coils will have corroded. Oh hang on, remember my early Hondas the ignition barrels would fail after a while? Perhaps I could bypass that to see if it starts? Hmmm, maybe, maybe not. Could be the feed to the CDI from the coils? Urgh. Electrics there could be a whole plethora of things. Coils? CDI? Or are we just messing with the dark arts here? Maybe the CDI is fried? That's quite hard to diagnose, I wonder if there's a guide for a similar CDI online? Or the coils. There'll be some specific resistance I wonder if I can find that online? Electrics are like the dark arts. Things happen that you can't see and often things I don't understand. Let's just hope it's a lose wire huh. I'm not dreading this job. It's an easy bike to take apart and more importantly there's no real pressure to get it done. Sharon's got the 250 and let's be honest she's not used the 125 for ages. I just want to get it sorted so we can either use it like it ought to be used or sold so someone else can use it like it ought to be used. Selling Zen will break Sharon's heart but I think she knows it needs to be done. It is now Saturday and I'm at Sharon's. I have the seat off and the side panel too. I put the bike on the centre stand as it won't start with the side stand down. Oh... Wait a minute... Let me just hold that thought here in my tiny teeny weeny miniscule little brain. "I, put, the, bike, on, the, centre, stand, as it won't, start, with, the, side, stand, down." Aha! Ah. Erm. Oh the shame. My CBF125 will start in neutral on the side stand. My CB500X will start in neutral on the side stand. Sharon's Z250SL will start in neutral on the side stand. Sharon's Keeway won't start in any situation if the side stand is down. When we first purchased the bike we thought we'd broken it until we worked this out. We've made this mistake before. Oh the shame. You're having a laugh. Why you, you little git you!! Kathunk kathunk kathunk... cough cough kathunk. Cough cough brum cough brum brum brum. Yeah, it starts just fine with the side stand up. Oh the shame. So.... I'm riding in Cardiff, blazing hot, and they have narrowed the roads into the city for security checks as the football was due on. All lanes narrowed into one, huge tailback, no room, Sun belting down, so you can imagine. C800 Suzuki cruiser.. bike starts to overheat and starts missing a bit on tick over, fan on and off like crazy. So I'm thinking, I hope it's not going to die on me. Got to my meet up, had a cold one outside the pub, and the bike is cooling off nice. Get on the bike, starts up ok, but has a fault code on the dash. I think .... what now ??? Further up the road, the fault code 444 turns into fault code 445 .... as in 4.45pm. I had the same problem a year ago when the side stand switch stuck in the kill position after it being left down for a couple of months. Still need to get a new one to replace it. Its bypassed at the moment so the bike will run. Borsuk - that needs fixing. It's not nice burying the sidestand into tarmac on a left hander. Badger - that made me larf! It's the sort of thing I've come across in IT support. Durgh. There was a chap at a local biker haunt in Poole. He was very proud of his Suzuki Bergman scoot, to the point of annoyance for the other riders there. Then one day he mounted his steed, inserted the key and turned it. The moment the ignition came of the horn sounded and he almost fell off the bike is shock. He rushed to switch the ignition off to calm the din. The happened every time he turned the ignition on click BEEEEP! click "what the hell" click BEEP click "effing thing" click BEEEP! click and so on. This went on far too many times. I could see a couple of the riders giggling in a group. Eventually being mechanically unaware he called upon the services of the other riders around, who all agreed the best option was to disconnect the horn. Promptly done he road away red faced. It turns out one of the giggling gentlemen had placed a small blob of blu-tack such that it couldn't be seen but was holding the horn button in. The first time I was to venture up to Scotland on my then new MZ ETZ250, things didn't go quite to plan. I dragged the bike out of the shed, loaded all the gear up, turned the petrol and ignition on, gave it a couple of kicks to prime, then choke on and kick and away she goes. Helmet on and just about to get on ride off, when it dies. Grrr. Kick it over many times again, and finally it bursts into life - but then dies again after about 30 seconds. I'm all hot and bothered now, so of comes all the gear, and I repeat the process again, and again, and again. Time to check the obvious. I know there's a spark because it does run. Must be a fuel issue then. Of with the fuel pipe and out comes the petrol, so no problem there. Off with the carb, strip down, clean out float bowl, blow jets through etc, etc re-assemble and Vroom.....followed by silence. Double Grrrrrr. This whole process had taken, I suppose, getting on for an hour now, and I'm getting really peeved. I don't know what made me do it, but I then switched to petrol tap to reserve, and guess what - it ran perfectly. It must have been just on the cusp of going on to reserve when I put it away, and the motion caused by kicking it over was enough to get some fuel down into the float chamber and start up, but then it would die of fuel starvation. When I checked the fuel flow by removing the pipe, it must have been on the side stand, and so tilted over enough to let the fuel flow. I finally started off about 2 hours later than intended, but a valuable lesson learned. Aaah they're all coming out now! 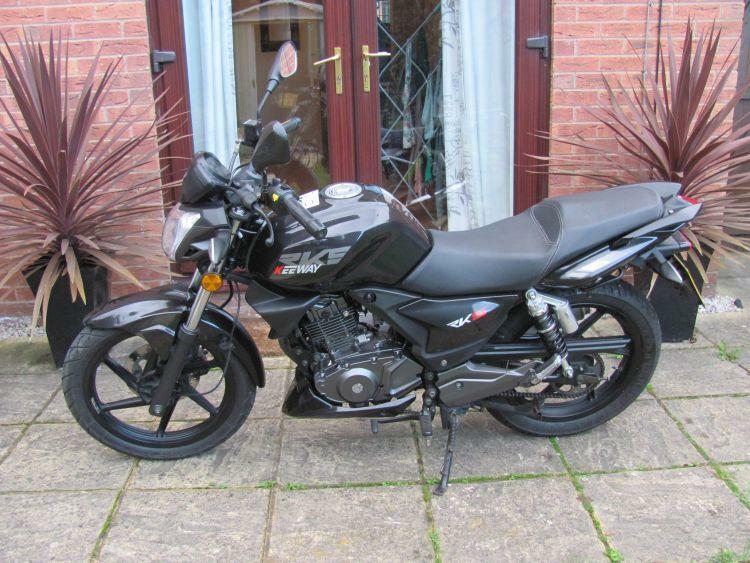 As a yoof on my diminutive Honda H100A I'm sat at the side of the road in a foul foul mood. The bike has come to a stop. A motorcyclist more senior than I stopped to help. He suggested I'd run out of fuel. Fool! I'd recently filled up. My demeanour soon saw off the interfering old busybody so I could resume my sulking. After another 10 minutes I turned the fuel tap to reserve. I guess it was not quite as recently as I thought since I'd last fuelled up. Did I learn my lesson? No, I still refuse help even if it's good help. I did just the same as Ren when I took my new (to me) Triumph Tiger to watch the Red Marley hill climb (a superb event by the way). I'd parked with all the other bikes in a big field at the bottom of the hill, and as it was on a bit of a slope left it in first gear on the prop stand. On my return, I just pulled in the clutch and tried to start the bike. It merrily turned over, but would it catch? No. As the crowds gathered, making rude remarks about British engineering, I eventually realised that for reasons unbeknown to me the bike was set up so that the feed to the ignition circuit was cut when the stand was down and it was in gear, but weirdly the starter motor was still in circuit. Bizarre. A couple of weeks later my brother came to visit and of course needed to have a go on the Tiger. When he eventually returned after an hour or so the tyres were smoking and the exhaust ticking merrily away. I put the bike in the garage till the next day. I'm glad it's not just me. Guess she keeps it then ? Quite true Henrik, quite true. Obviously I like to think of myself as a genius though and not some idiot about to disassemble a perfectly functional motorcycle because I'd forgotten about how the side stand works differently on Sharon's bike. Gosh yes! The old separate steering locks! Tucked away usually behind the bottom yoke. Sharon's is still like that too - that'll be my next trick. During an afternoon run on my TDM, I stopped at a chippy, the parking area outside the chippy sloped down slightly, so I would normally roll the bike in backwards so it's easier to get out. But for some reason I parked the bike forwards, with the wheel against the kerb and the bike in gear to prevent it from rolling, and fitted the disc lock. When I was leaving, I flicked the side stand up selected neutral, and started pulling the bike backwards. Clunk! as the disc lock hit the fork leg. No damage done. Side stand down again, I began removing the disc lock, the bike was now in neutral and away from the kerb, and you guessed it. It rolled forward prop stand flicked up and it came crashing down. The first and last time I park forwards on a slope. Christmas Eve 2017, lovely clear sunny winter's day and I had to nip up to Meir B&Q for a few bits and pieces to put up the decorations. Long and short of it was that on start up, plenty of ice in the shadows, full right lock, in a hurry to beat the traffic to the exit, gunned the GTV and forgot the strength 10 chain and lock on the front wheel. Result, three broken ribs, bashed crash bars and broken mirror. And not one of the spectators came to help me pick it up! PS The photo was taken after repairs! I don't know whether to be proud of you all for sharing your foolish moments or to question the kind of people that read this blog! I hope this is all proving very cathartic for you all. In the interest of sharing. This morning Sharon decided we'd go out on the 125s. We'd arranged to meet at 1200 at Orrell Motorcycles. I arrived a little early to see 2 text messages cursing the 125. It starts but won't run. It's sort of going then not. Now it's getting worse. Oh for goodness sake! Even Sharon's not silly enough to leave the side stand down a second time. Is she? No it coughing a spluttering. I call her. Ah - she's just this minute "fixed it". Yeah. I'd turned the fuel tap off. Thanks for sharing folks. I've had a laugh! Love reading all the oops stories. Thanks to you all for sharing. Henrik is Zen staying? Well maybe, maybe not, it depends on this and that..but that's another post.. am I a tease maybe, maybe not, I might just not know yet. 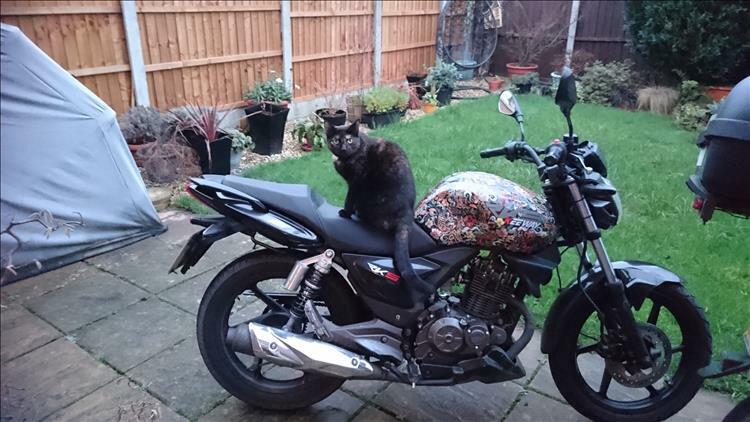 However he seems to have Cleo's vote but then she likes all of our bikes. Yeah done all that. Fuel off, kill switch off, running up and down the street pushing a mate who swore there was fuel in the tank..... A week ago. But my shame is in my early months of riding. Out riding with friends and the bike went onto reserve but instead of finding a petrol station I carried on riding. When it ran dry I was 2/3 miles from home, this was the days before 24hr fuel stations and it was late. It was a very long, very tiring push home. Every cloud.....at least it wasn't stolen....that could be a first for the Meir. Pushing a 125 in and out the shed is easy. It feels like pushing it a mile down the street ought not to be too hard. Until you actually do it. I feel your sweat Keith m.
At the time I was a fit eighteen year old and didn't dare leave it in case it got stolen. Which is why I pushed it home,but I was dripping sweat when I arrived home. We live and learn, hopefully. We like to think we live and learn but some mistakes we keep on making. I remember being 18 and (fairly) fit. Them's were the days.